Warranty: long-term effective cooperation is the most important thing for us, if any problems when using our products you can feel free to contact us, we will reply within 24 hours and help you to solve. Return policy: After you buy the product if you have any quality/ wrong model issues, please contact us in time to help you solve the problem. We will offer refund or replacement service. This is an upgraded version neato replacement battery. If there is any problem of the previous order, please feel free to contact us. 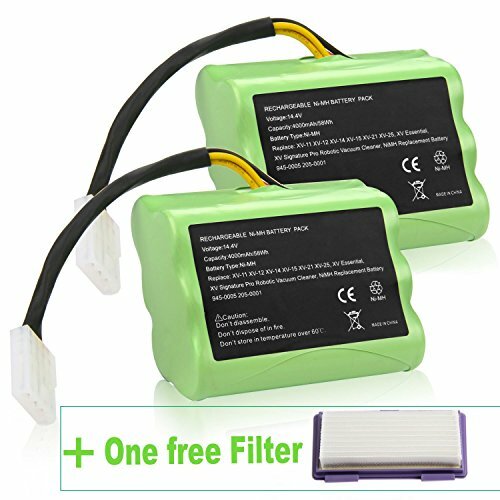 New Replacement Battery for Neato XV-11 XV-12 XV-14 XV-15 XV-21 XV-25, XV Essential, XV Signature and XV Signature Pro Robotic Vacuum Cleaners. Powerextra products are CE certified, tested by manufacturer to match OEM products. All Futurebatt products come with a 30-day money back and a 12-month limited seller's guarantee against manufacturer defects from date of purchase, and 24 hours' friendly customer service! If you have any questions about this product by Futurebatt, contact us by completing and submitting the form below. If you are looking for a specif part number, please include it with your message.